Home > Dog Health > Prevention > Which Dog Vaccinations Are Necessary? The best treatment is to prevent Lyme disease before it arrives by keeping your pet’s tick preventative treatment current. Learn more about when to give vaccines in this video from Purina Australia. What’s your stance on vaccinations? I have a 4.5 yr old rescue golden. Based on his history, we (vet and I) are assuming he has previously been vaccinated for Rabies and DHPP but we have no records of when so those shots were given. Since I needed proof of Rabies and Distemper in order to get a dog license he was given those shots several weeks ago. We are also assuming he did not get Bordatella, Lyme or Lepto so those were given yesterday but.Vet is only boosting Lyme and Lepto in 3 weeks, not Bordatella. Does all this sound right to you? I hate all these vaccines and I don’t want to overdue it. I moved from Illinois for years ago I got all four of my dog shots everything you can think of because I was moving to Mississippi and going to be living in the wooded area.after moving here I never got any more vaccinations for my dogs they all stay in a fenced-in yard and they’re not around any other dogs.do I still need to get all the other shots for them or just the rabies one every three years. Will they be safe without shots at all except for rabies shot. PS. Please protect then regret!! My dog is 4+ years, she has had “itching” problems for quite awhile. She was put on Apoquel, opinions appreciated on the use of Apoquel. She had diarrhea and some vomiting. I’m not 100% sure it was from Apoquel but if I were a betting woman… I canceled her appointment to get the Leptospirosis vaccine. 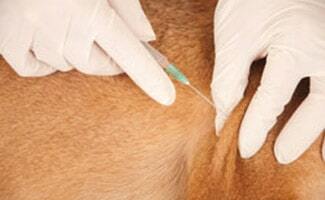 A holistic vet Dr. Deva Khalso VMD wrote an article and does not recommend this vaccination. Again,opinions. How safe and how necessary is this vaccine? Lepto is not required and has a long list of serious side effects. I give my 11 year old schnauzer Apoquel with no side effects. As far as the yearly vaccinations of DHLPP, I get a titers test and the vaccine is still in him. I use to get the DHLPP which my vet requires every year. My schnauzer is 11 years old with Cushings Disease, Diabetes and Pancreatitis. Studies show pets are being over vaccinated and developing these autoimmune diseases. My current problem now is Iowa does not allow a letter of exempt for the rabies vaccination. The law states I have to do it every 3 years even though my vet thinks that it could be detrimental due to his age and his health condition. There are only 18 states that allow an exempt letter from your vet to forgo the rabies shot. Iowa needs to get on board. An itching problem could be a sign of nutrition deprivation. I had an elderly neighbor who’s dog I helped care for that had an issue with that. The dog was helped with vitamins and a raw food diet. I fully support Donna’s advice. A raw diet is the solution for your dog’s itching. Most skin allergies are food-based, and those foods are chock full of preservatives, not to mention salt and sugar, and those nasty carbs, plus the high temperatures that cook the enzymes and amino acids right out of the food. I am a retired pet food manufacturer, and my company turned around the health of thousands of dogs and cats with its all natural raw diets. If you need any advice about raw feeding you can reach me in Florida at, 407-619-2473 or email, chuck6464@gmail.com. Thanks for sharing! Definitely, WE DO NEED vaccines! Please keep spreading the truth to eradicate ignorance. My friend just adopted a dog, so she wants to make sure he has the proper vaccinations. I like how you mentioned that a dog should get a rabies shop every 1-3 years. Do you have any tips for choosing a great vet in her area? Take a look at this article for tips on choosing a vet. I’ve had 6 70-85lb rescue dogs with an average life span of 14.5yrs doing 2 puppy vacs spaced out then rabies and dhlpp every 3yrs till 8yrs old then rabies and titre tests which resulted in no further vacation needed for licensing. 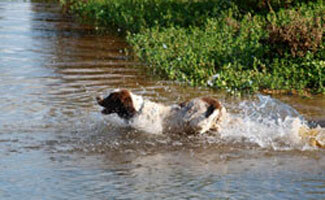 They all were in busy dog parks, swamps, bogs, rivers, had to constantly sweep up dead ticks etc. And never got a single case of anything worse than pink eye from swimming too early in the spring. 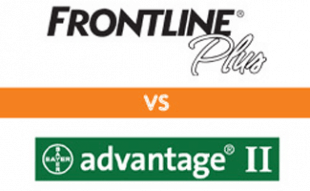 My opinion means little but be careful getting advice from the person making a profit off of over prescribing. If they get angry or use fear tactics its time to find a new vet. Thanks for explaining the different types of vaccinations and how it’s important to consider local and countrywide laws to know what’s mandatory for dogs in your area. This would be important to keep your pet healthy and to avoid legal troubles. When choosing what animal vaccinations to give them, you’d probably want to talk to your veterinary clinic so that you can discuss what is required as well as what is best to keep your animal healthy. I just got a 8 month puppy. The owner said that the puppy was given the 9-way vaccine at 6 months and the rabies vaccine at 7 months. He has not recieved any other shots. Do I need to give him anymore vaccines? I suggest calling your vet and asking what vaccines are needed in your area. Depending on your local laws and any current outbreaks, some locations require different vaccines than others. Congrats on the new pup! 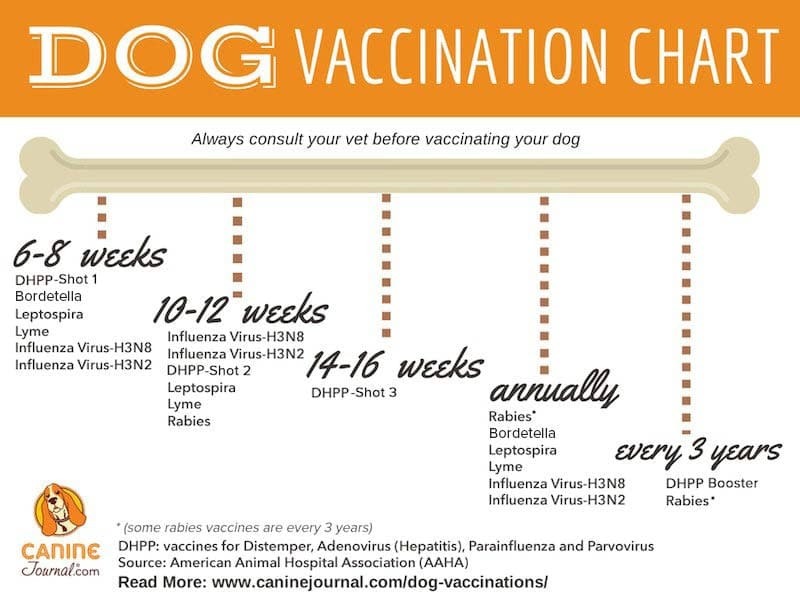 I didn’t consider that dog size matters with vaccinations but makes sense that it is a factor that they may not be strong enough to handle the vaccination. I have been considering getting this for my dog at the vet. Thank you for your helpful advice on vaccinations. Vaccines are one of the biggest frauds ever. NO body – human or animal – needs vaccines. The ALL cause brain inflammation, immune system dysfunction/suppression/confusion and other damages. The healthiest people and animals are those who are never vaccinated and who eat species-appropriate high nutrient foods. For dogs, that’s a pasture-raised raw meat diet with some organic vegetables, bones and fat. Learn the FACTS so you don’t get taken in by the fraud and regret it. Just 1 vaccine can destroy health, normal brain function or kill. It’s happened to the dogs of several people I know. I do not ever vaccinate my dogs and it is also against my religious beliefs. Rabies has been cured naturally by fasting, herbs and IV Vitamin C. Read the books by Juliette de Bairacli Levy. President Trump has signed an executive order that declares no mandatory vaccination if it’s against your religious or conscientious beliefs as of 1-17-18. Thank God! Thanks so much for the truth. Everyone who owns a pet should first start with this knowledge. Life is so much better for both owner and pet. Obviously you’ve never nursed a litter of puppies with Parvo. Your misguided and ignorant beliefs are what cause outbreaks of previously controlled diseases. God created us with an inquisitive brain, capable of learning and conquering disease. Trump won’t drop regulations on immunizations. He won’t want to piss off big Pharma! The adverse side effects for a standard vaccine are 1 out of 500,000 to 1 out of 1,000,000. The death rate for the illnesses that you or your pet can get if you DON’T get vaccinated, is as high as 1 out of 3 or 99.99%, in the case of, say, Rabies. Utter nonse. Emotional uneducated ignorance. Good job! You can be one of the self-congratulatory ones who keep deadly viruses alive and well for the rest of us. im not trying to argue, but if other people and dogs have their shots, how on earth would they get ill from the one who didnt have the shots? Good luck with that. It’s too bad that you force your religion onto your animals for, apparently, it dictates that theirs is to suffer and, then, to go too early to that great kennel in the sky. Too many!!! I don’t do most of them and never lost a dog to kennel cough or anything else. Just like pushing more chemicals and pollutants into ones body…dog or human. Only one REQUIRED by law is rabies. Do your own homework folks. Don’t think your vet is going to be of any help. Someones pockets are getting lined with your hard earned monies!! And it is not yours. What ones do you get? I do the paro and distemper. That is it. And I do 1 shot each a few weeks apart. Never befor 10 weeks. Mothers set had them covered until then. 1 rabies and titter. I appreciate you letting us know that if we are giving too many pet vaccinations at once, we shouldn’t be considering giving any non-core ones at the same time. My husband and I just bought a new puppy and we are wondering what kind of shots we should be giving him. Though we want to give him almost all of the pet vaccinations he might need, we will be sure to parse them out so he doesn’t get too many at once. Doesnt need the flu or kennel cough at all. It is like tryi g to give you a shot for a conman cold. And lepto does more damage usually than good. Feed a species appropriate diet…raw. and your puppy will be healthy. Hello – I want to stress to everyone who reads this to please let every one that you know who has a puppy or dog to please get educated and do not over vaccinate. I just lost my perfectly healthy active 8 month old pug puppy because of getting her all the recommended shots by vet. I blindly trusted my vet to inform me about what she needed and then did as recommended without questioning at all- and 7 days later she is gone. I could not believe that my vet stood there and said to me that this is such a rare thing to happen – I dont care if it is rare – it happens and it should not. There is not any other reason for her to be gone than I trusted my vet and got the vaccines recommended and now I have lost my dog. Not to mention the money it cost trying to save her at 24 hour emergency hospital over that weekend – only to get her into my vet early Monday to be told it was fruitless and from me vaccinating her. So for those who say you should get vaccines – I say space them apart and really get educated before. Wow I feel your pain and am so sorry. I don’t do most of them. I run Titers. I was quoted as $250 for one vaccine. I have 3 dogs. Find a “holistic” vet who prevents disease with accupuncture and cures them with aromatherapy! No vet vaccinates to line his pocket. Read the AAHA recommendations. OMG! I lost my dog in 6 days after thanksgiving 2017 cause of the vaccines!!! I’m so sorry for your loss. As puppies, my two schnauzers got all the same shots as your puppy. We were lucky that they didn’t have a reaction. I have since learned about titer tests and have them given annually to my dogs. They go years without needing a vaccine and when they do, it’s only for one component of the vaccine. My vet tells me the vaccine is “all in one” and I’ve allowed him to administer it to them, but in the future, I will do my homework to find out if the shots can be given individually. You can order the same individual vaccines the issue is getting a license if a v et or tech doesn’t provide paperwork. My vet will but many won’t even if you pay for vaccine and office call which seems very odd to me. I agree. I had my yorkie vaccinated with the 7 way vaccine. 30 minutes after I left the office he went into respiratory distress. I went straight back to the vets office and all had gone to lunch except receptionist. A long 20 minutes later the vet started a IV and oxygen. Suspected it was the leptospirosis in the 7 way shot. I too lost a tiny 3 month old puppy 1 week after vaccines. Just dropped dead. No warning. Weight was 1.5 lbs. I believe the amount of vaccine given was an overdose in number if vaccines given and dosage. I had another dog develope Cushings and Diabetes and went into total body failure and died at age 6. Another dog with tumors at injection site and Cushings. She also died. Vaccine related ???? Who knows. I understand the risks on both sides. Those who do not vaccinate are not the cause of the spread of the diseases. Those diseases will and have been out there as long as the Earth’s been formed. Hi. Please everyone, do your research on over vaccination. This vaccination schedule is out of date and not based on scientific research. Actual research shows that pets are protected for life in most cases after the first set. The recommendation for annual dhpp shots is 20 years out of date! Protect your pets against over vaccination and look at all the adverse health conditions caused by taxing their bodies, immune system, liver and kidneys. Do a titer test instead to check their antibodies before giving another vaccination. Except rabies which is required by law. Haha a titer test is only $300 for rabies and $110 for distemper. How many dogs do you want tested? Not if you go to a clinic. I never in my life have paid that much. You clearly need another vet. My dog has been diagnosed with SARDS and cognitive dysfunction syndrome. She also is prone to urine crystals. That is being controlled by diet. She is on supplements for her cognitive dysfunction. She is due for her distemper shot. I’m hesitant about scheduling this for her. She has been experiencing anxiety/stress issues due to her cognitive issues. Would it be safe to get this vaccinations for her? Don’t do it. Get a titer. She is very likely already protected. The titer testing for both of my Schnauzers was 120.00. The titer test showed they didn’t need vaccinated and haven’t been for the last 4 years. Over vaccinating causes autoimmune diseases like Cushings, Addisons and Diabetes just to make a few. It will cost a lot more money then 120.00 if your dog develops one of these diseases. Titer testing is worth it for your dog and for you. NO no no….any ill dog should not receive any shots. Any educated vet SHOULD know that. Run titers on your pup. Most are protected for life. No more ever needed. And watch the results had a vet try and cover up labs and lie. Never trust anyone. 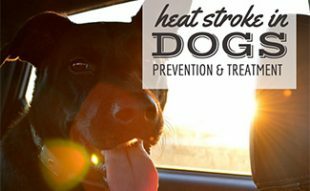 Dogs with an illness or in heat should NEVER be given vaccinations. I suggest talking to your vet about the vaccination schedule for her. Since she is already 10 months she’s little behind, but I’m sure the vet will have some suggestions for you on which vaccines should be taken when. Congrats on the new dog! My husband and I are hoping to get a dog at the end of the month and are so excited! There are no more annual shots. Look at Dr Ronald Shultz research and also current 2017 aaha guidelines. Just keep in mind the AAHA guidelines are not based on any scientific research whatsoever. Dr. Schultz is one of the creators of the 2017 AAHA Guidelines, which ARE based on science. Read them again. Read, too, the commentary on them by his friend and colleague, Dr. Dobbs, at . My 10 month old dog got kennel cough when it was 8 months old. He was fine within 3 weeks after being on antibiotics for two of them. My question is because he last coughed in mid december, does he now need a kennel cough vaccine or does he have antibodies for the next few months because he just got over it? You should contact your vet and ask them. They will be more knowledgable in vaccines. Kennel cough nose spray protects against very out there. Maybe 10 or less against the 100 plus strains out there. a good cough syrup with DM can save a lot of vet bills. My 9 year old Golden Retriever had his yearly shots plus flu vaccine little over a week ago. He now has dark urine (brownish) reading this could be caused by vaccinations. Should I be concerned ? Thank you so much. Depends where you live. In the US only rabies is required by law. My breeder says no. The vet says yes. The night he got his first one he was also prescribed Imodium. He had a severe neurological reaction and almost died. I now know that Imodium is one of the drugs that collies with this gene can not tolerate. I am not convinced that the lepto shot he got that same evening did not contribute to his reaction. My vet feels since he tested mutant/mutant for the MDR1 gene we can be sure that the Imodium is what caused the reaction. I am not so sure and I am concerned about taking that chance. Are they more at risk than a dog without the gene? leapto is not required as a core vaccine. Go with your gut NO more. Hi please can you advise me, my dog is suffering from liver damage caused by two operations he had earlier this year, unfortunately it's taken us a while to diagnose his condition so he is quite poorly. I have not wormed him or used his flea treatment but his annual vaccination is due in a few weeks, is it safe for him to have the vaccination? Thank you. Hi Petrina, as always, we recommend contacting your vet; especially since your pup is suffering from liver damage, you'll want to be certain that he can take his annual vaccination. If you read the vile of serum it states that it can only be used on healthy animals. Since your companion is suffering from liver damage I would consider that an unhealthy condition. If you are required by law to administer a vaccine there may be a waiver exempting you from doing so. It all depends on the state where you reside. You can check with your local board of health. Your vet can write the letter of exemption. You may have to supply a titer test for rabies and still pay the license fee. I think the way a lot of people think of dogs, they think that because they are more animalistic in nature than we are, they can handle a lot more of what the world throws at them health-wise. However, this thinking seriously discounts just how domesticated these animals have become and just how much we as human beings have affected their evolution and their health risks and needs to live normal lives. Some breeds, English Bulldogs for example, cannot even achieve natural birth of their litters because the traits that the dogs were bred for won’t allow for it. This is why getting your dog proper health care is every bit as important as it is to provide for yourself or your children. They are no longer equipped to deal with “natural” health concerns because they do not live in a natural environment. They live as we do, amongst air pollutants and germs created by our very own living. Therefore they need their vaccinations on a regular basis as well as any other preventative care to keep them living healthy normal lives as was intended. So you would advocate vaccinating your children every year for the rest of their lives as well? If, as you say, humans have affected their evolution why would dogs not have the same lifelong immunity from their vaccinations as we do? Dogs live 8-15 years, people live 8-10 times that long. We vaccinate our children for 12+ years to gain that “lifelong” immunity! Some vaccine antibodies do not remain with us our whole lives… Tetanus for example. Same with some canine vaccines. Then as we get old and our immune systems weaken, vaccines help to protect us BECAUSE our weakened state. I suggest you take a corse on immunology. Learn how it really works..
Vacs. 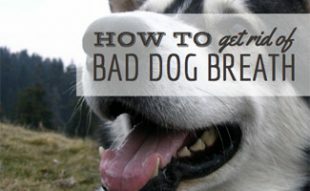 Do not work on old dogs or people because of their weak immune system. All you get is toxic chemicals like mercury,aluminum etc. Sorry, Dan. The weak immune system is why we need vaccinations. The toxin idea is false and irresponsible. Well first – there is no “evolution” – show me one species of animal or human that once was something different than it is now. There is no historical proof whatsoever, whether in humans or in animals, that any one creature evolved into a different looking creature than it is now. Entropy, which means that we and all other forms of life are weakening over time – not becoming stronger, better, or evolving into a creature that is fit for its environment. The human species still has its span of life that will not exceed over 120 years. You have absolutely no understanding of micro- or macroevolution. Basically every plant or animal which reproduces viable offspring is an example of transition in a species. An individual animal does not change during its lifespan. Go look at dogs on the internet. You’ll see a vast array of breeds that have been selectively bred to evolve the breeds for specific purposes and environments. Look at the how the appearance and standards for a specific breed have changed over the past 200 years or so. This is like evolution in “fast forward” because people helped promote desired characteristics, but you can see the evolution for yourself. Humans don’t have life-long immunity to any disease. A great percentage of us will die as a result of this fact. It amazes me to look at the number of dog owners who skip vaccinations. 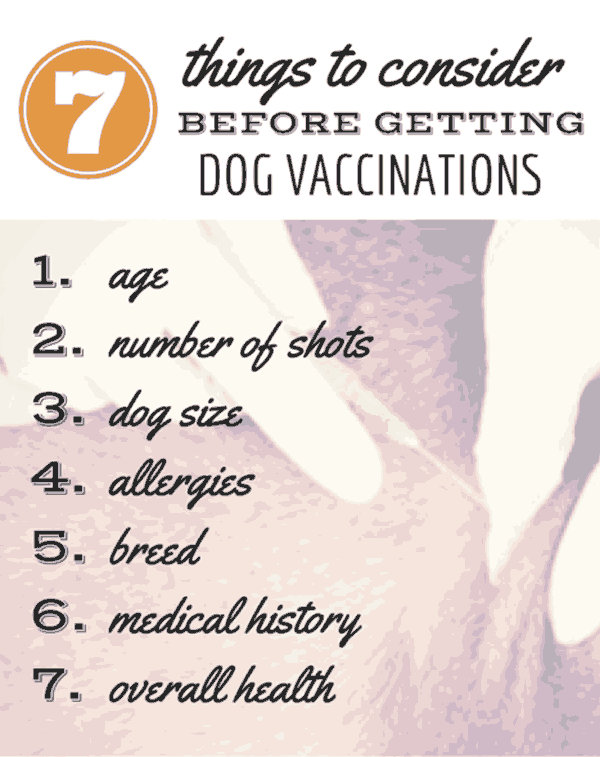 Just like with humans, vaccinations are important for your dog's health. In all honesty, some of these vaccinations will save your pet's life. A good example is the vaccination for parvo. Parvo, as mentioned above, kills 91% of infected pets. Worse yet, the death of the pet is tragic and painful. While vaccinations are important, you need to consult your vet to determine which vaccinations are necessary in your area. While some vaccinations are necessary for certain areas of the country, they aren't necessary for every pet. Any vet will tell you that the less vaccinations and medications you have to give your pet, the better. In other words, you do not want to give your pet vaccinations unless they are necessary. If you're buying or adopting a puppy, it's extremely important to make sure the pet is up to date on all its shots and to get a shot record to show your vet. In most cases, the puppy will have received the first couple sets of vaccinations, but it will be up to the owner to finish out the vaccinations, which will require visiting the vet's office every few weeks. I understand wanting to get your pet vaccinated but has anyone actually read the studies that show vaccines can and have caused cancer in both dogs and humans. Human beings have been in existence for over a million years. If vaccination was an integral part of our evolution or survival we would have been extinct years ago. Modern medicine seems to be pretty archaic by working against the immune system as opposed to working in collaboration with animal or human immune systems. I know this post is only about dogs, but please take the time to look up the connection between vaccines and autism in children. I'll stick with taking my pup to a natural vet that uses both western and eastern (more ancient) medicine to restore and enhance my pet's life. Much love to you all. That vaccine/autism misinformation scielong since been refuted by the scientific community. Vaccines DO NOT cause autism. The reason the dog diseases you mention are so rare is because vaccines protect against communicable disease. The same applies to people. Vaccines are why we don’t see folks catching polio or chickenpox or diphtheria or smallpox or tetanus or whooping cough or measles. The fewer dogs and people vaccinated, the greater the odds that the diseases will return. And none of us want that, do we? It has been shown in all studies on the connection between vaccines and autism, that there is NO connection. People who believe there is are ignoring the scientific evidence and propagating conspiracy theory’s. Have you actually seen these studies with your own eyes?? I bet not. Until you have poured over all of the documents that support that it is a “conspiracy theory” – you probably shouldn’t have an opinion. Tell that to the parents of 2 children that listened to their pediatrician not once but twice and went ahead with vaccines and BOTH children went from happy and active infants that responded with smiles and kicking of their legs to their parents to a blank-looking unresponsive stupor-like states not 24 hours after the vaccines were given. These 2 cases were 2 years apart. What those parents are living is no catch phrase of a “conspiracy theory”! I just bet you, Anon, that your eyes haven’t read one sentence in regards to vaccines and their link to autism – you are just a blind sheep following someone else’s lead because you don’t have the wherewithal to think and do research for yourself. There are thousands of cases like these all over the globe so you really shouldn’t just take what you hear on the news in blind faith. The fact that you stated: “It has been shown in all studies on the connection between vaccines and autism, that there is NO connection” is DEAD WRONG. What you have stated is an outright untruth and you are probably saying it because you heard it on NBC or CNN. Last I heard – they shouldn’t be giving stats on anything because they twist stories to make them fit their agenda. Look at the research for yourself – you clearly haven’t done that or you wouldn’t have posted the above comment. IT HAS NOT BEEN SHOWN IN ALL STUDIES that there is no connection between vaccines and autism. On the contrary – many of the studies that did show the connection were squelched and kept from the mainstream news. Good grief, C! If you don’t trust doctors, look up your local public school biology teacher. He’d be happy to educate you. It’s a shame that your animal is going to suffer and, then, go too early to that great pagoda in the sky. There are good reasons for vets’ recommendations. Stop eating mangoes long enough to read a book. Yes I agree, the positives far outweigh the negatives when vaccinating your pets. In our small town (South Africa) we have 2 townships (shanty towns is what Americans call it, I think). Every home has a dog or 5 but these people cannot afford proper food let alone health care. A small group of friends and myself started a rescue group and we help these animals as much as we can with the little support/supplies we have. Our nearest vet is 40km away. The reason for this background, last year we had a distemper outbreak. Only the dogs that we had vaccinated previously survived, more than 100 died, some before my eyes, a miserable and heartbreaking death. We also often have parvo outbreaks (like we have at the moment), it breaks my heart a hundred times over to see these pups, try to help, but knowing they won’t make it. And this misery could’ve been avoided by having been vaccinated. If we could afford to, we would vaccinate all the pups and dogs in town, because here contamination is pretty high as almost no yard is secure, so everyone’s dogs (except the poor chained souls) end up ”visiting” in the neighbor’s yard, and distemper and parvo are highly contagious. So yes, in my personal and reasonable experience, I certainly believe vaccinations are a basic necessity for survival. But of course circumstances may be different in your country, risks may be much lower, but I wouldn’t take a chance with my beloved pooches. Says the vet, lol… get out of here! I think you made a good point in this article about owners who feel that since dogs do not get shots in the wild that they do not need this form of routine medical care. These types of attitudes are ones that I see often in my fellow pet owners. Though they love their animals just like they love a best friend or a family member, they assume that their dog simply does not need essential care like vaccinations, spaying and neutering, checkups, or even healthy dog food designed for their size and breed. They feed their dogs hot dogs and bologna only and no crunchy food and rarely take their animal to the vet. If there is an emergency, the animal will see the doctor, but that's the extent of it. I think we have to understand that our pets are not living in the wild. They are living with our germs and as part of our human lives. As such, we absolutely need to make sure that we are following the veterinary standard of care for our pets, no matter how they would live in the wild. Even in the wild people should realize animals still get sick. Wolves, coyotes, etc. lose a lot of pups to parvo and distemper. Animals in the wild still get inflicted with rabies too. Animals in the wild do not receive tick and flea medicine and suffer from mange and die from tick paralysis. Just saying. Just saying THE TRUTH! Amen, Amy. Ever hear or think of running titer on your animals? The results may amaze you. But wait, it costs more than the shots, never mind. I followed the vaccination protocol for my tiny Chihuahua when she was a puppy. Small dogs are sensitive to meds. I would rather pay for a titer test to see if she still has those anitbodies than subject her to vaccines that may shorten her life even if the titer is more expensive. I won’t take chances with my loved ones because of money. I would be responsible should something go wrong, and I couldn’t forgive myself. Quit posting your nonsense and try being a caring vet vs worrying about your income..
No ignorant cynic like you, bob, should own an animal nor influence a child. You’re dangerous.